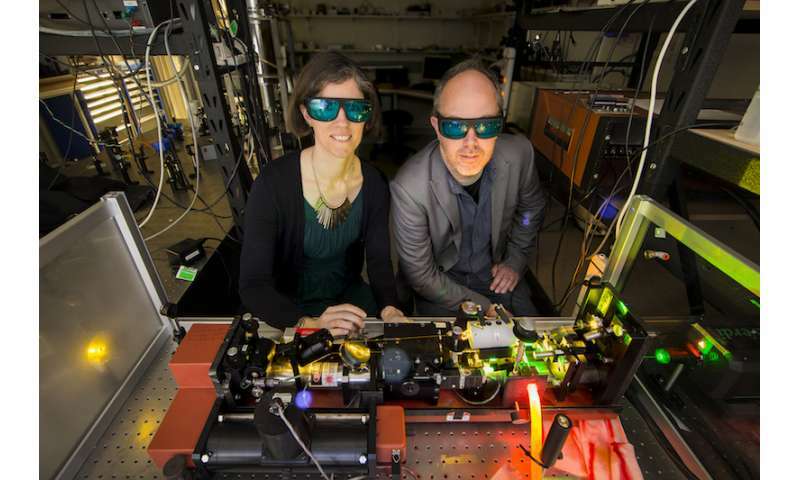 Researchers at the Australian National University (ANU) have taken a major leap forward to provide practical building blocks for a global quantum internet. The team, led by Associate Professor Matthew Sellars, have shown that an erbium-doped crystal is uniquely suited to enable a global telecommunications network that harnesses the weird properties of quantum mechanics. "The effort to build a quantum computer is often described as the 'space race of the 21st century', but today's computers didn't realise their full potential until we had the internet," said Sellars, Program Manager in the Centre for Quantum Computation and Communication Technology (CQC2T) at ANU. "We have shown that an erbium-doped crystal is the perfect material to form the building blocks of a quantum internet that will unlock the full potential of future quantum computers. We had this idea 10 years ago, but many of our peers told us that such a simple idea couldn't work. Seeing this result, it feels great to know that our approach was the right one." "Memories allow us to buffer and synchronise quantum information, operations necessary for long range quantum communication. At the moment, researchers are using memories that don't work at the right wavelength, and have to employ a complicated conversion process to and from the communications wavelength. This can be inefficient, and means they have to do three very difficult things instead of just one," she said. "The unique advantage of our technology is that it operates in the same 1550 nanometre band as today's telecommunications infrastructure, making it compatible with the fibre optic cables found in existing networks," said first author and PhD candidate Miloš Ranči?. 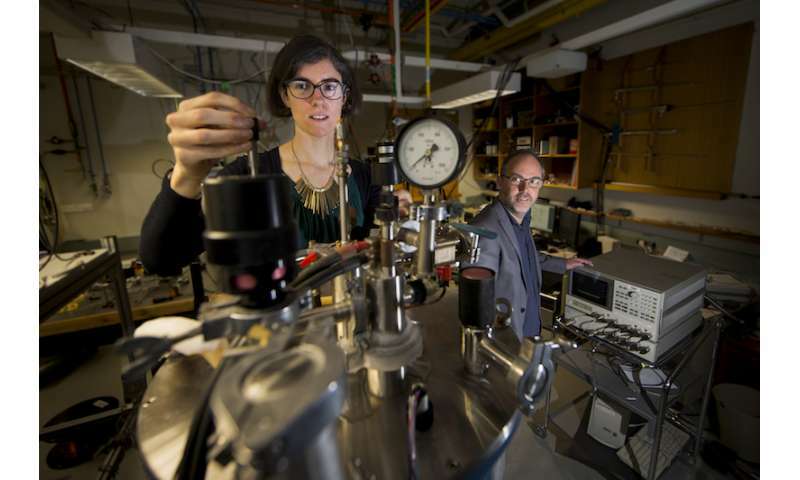 "We've shown that erbium ions in a crystal can store quantum information for more than a second, which is 10,000 times longer than other attempts, and is long enough to one day send quantum information throughout a global network." "Not only is our material compatible with existing fibre optics, but it's versatility means it will be able to connect with many types of quantum computers including CQC2T's silicon qubits, and superconducting qubits such as those being developed by Google and IBM," said Sellars. 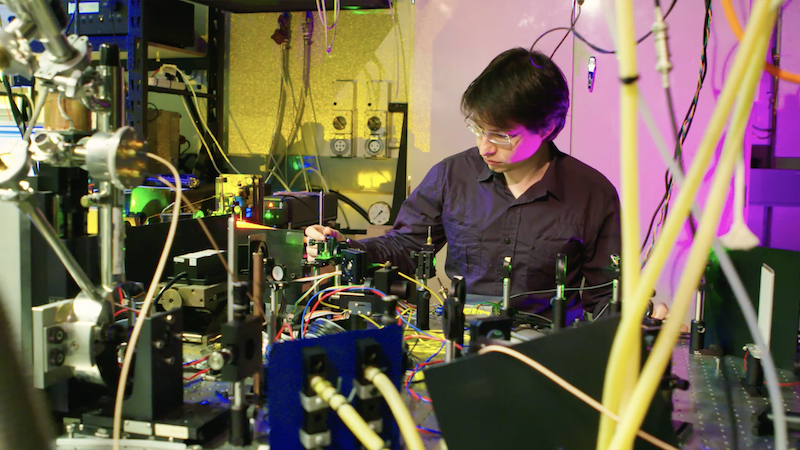 "This result is so exciting to me because it allows us to take a lot of the in-principle work we've demonstrated and turn it into practical devices for a full-scale quantum internet."